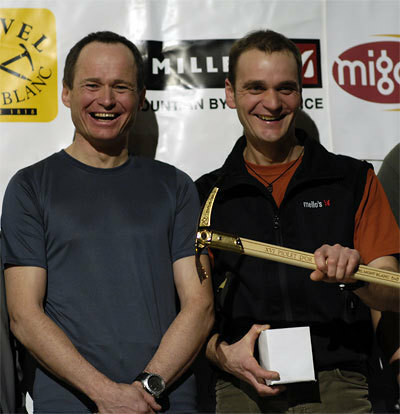 On 26 January 2007 Marko Prezelj and Boris Lorencic from Slovenia were awarded the "Golden ice axe" for their new route on Chomo Lhari. Pavlev Kozjek was awarded the Spectators Choice for his new route climbed solo up Cho Oyu. This was the 16th edition of the mountaineering award, created by the French Montagnes magazine, to honour the best mountaineering achievement of the previous year.